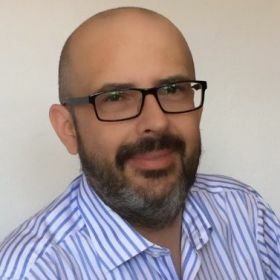 CeeDoo.com is a Digital Consultancy run by Denis Zekic, a senior online specialist with over 18 years experience in both B2C and B2B sales and marketing sectors. Denis’ experience stretches over several multimillion turnover eCommerce and digital marketing operations across UK, Europe and globally, including some market leading international organisations. He is the Winner of E-Commerce Awards organised by the UK Government initiative "UK online for business" and has been involved in many strategic digital channel implementations at the senior level. Most recently he spends the majority of his time with local SME's helping them grow their businesses through the power of Digital Marketing and Social Media. Denis is also a board member and keynote speaker at the "B2B Online Europe" and "B2B Online Asia" annual conferences since their start. Denis has developed a deep expertise in designing and managing social selling campaigns that leverage LinkedIn, content marketing, outbound email and sales funnelling. A Step by Step Method for Generating Business Connections and High Value Sales. In 2 years we worked together Denis took our business from just as - to the industry leader, all on the back of his vision. I have seen Denis lead and be part of great effective teams, he’s great at communicating and uses his network to get stuff done... It’s very rare to meet someone who impresses you every time you meet them, and he does this without trying - it’s just Denis. He earns my highest recommendation. Denis was key in developing and making successful our on line selling tool at Rexel Energy Solutions in Northern Europe, not just because he fully understands what needs to be done but also the way he worked with the sales teams to understand and promote it. Denis is a complete 360 degree professional and I have no hesitation in recommending him.